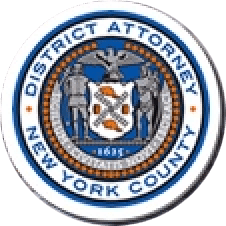 Manhattan District Attorney Cyrus R. Vance, Jr., today announced the indictment of MALACHI COLON, 21, for fatally shooting his 24-year-old girlfriend in her East Harlem apartment. The defendant is charged in New York State Supreme Court with one count of Murder in the Second Degree and two counts of Criminal Possession of a Weapon in the Second Degree. According to documents filed in court and statements made on the record in court, at approximately 1:50 a.m. on December 9, 2016, COLON and the victim, Natalie Vasquez — a mother of two — were in the bedroom of her Fifth Avenue apartment when the two began to argue. As the argument escalated, the defendant reached for a gun and shot the victim once in the forehead at point-blank range, killing her. He then changed his clothing, fled the apartment, and searched the internet for interstate bus fares before he was apprehended by NYPD detectives. Assistant District Attorney Carolina Holderness is handling the prosecution of the case, under the supervision of Assistant District Attorney Lanita Hobbs, Chief of Trial Bureau 80, Assistant District Attorney Lawrence Newman, Chief of the Domestic Violence Unit, and Executive Assistant District Attorney John Irwin, Chief of the Trial Division. District Attorney Vance also thanked the NYPD for its assistance with this case, especially Detective Geemaayi Simmons of the 28th Precinct Detective Squad, Detective Eaton Davis of the Manhattan North Homicide Squad, and Detective Bruce Kapp of the Crime Scene Unit.